Welcome to TracfoneReviewer. We share news, reviews and other information about Tracfone! A New Year is upon us and whether last year was a good year, a bad year, or just another year, it is coming to a close with the opportunity for next year to be something new. With 2018 here, we are sharing our expectations and predictions for what Tracfone will do in the near year, what we hope Tracfone will do, and also a look back at what went on in 2017 and the major changes and new phones. Each year we share our predictions and expectations, and you can look back at our post from last year to see how we did. 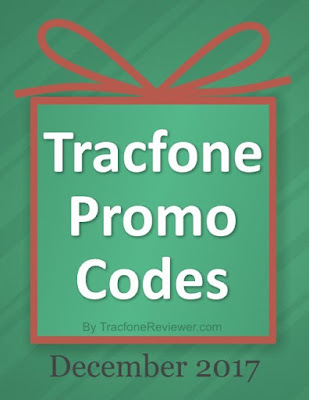 Remember that this site (TracfoneReviewer) is not affiliated with Tracfone in any way. But we are passionate about learning and sharing information, and while our predictions are based on years of experience, they may not always be accurate and so we cannot guarantee any of our predictions. Let's begin with some of the highlights of 2017. Tracfone made some significant changes in 2017, and also released several popular phones. Here are the highlights. Tracfone Ends Triple Minutes for Life - This was probably the biggest news story from Tracfone from 2017. Although Tracfone released some great phones, they did not help their customer satisfaction level by ending the popular Tripe Minutes for Life program. We looked at which of our Tracfone cell phone reviews had the most hits, and created our list from there. This is somewhat unofficial, but we still found it interesting and wanted to share it. The Samsung Galaxy Sky Pro was the most popular phone from last year which comes at no surprise, considering it offers some of the best features and specs of any budget Tracfone to date. 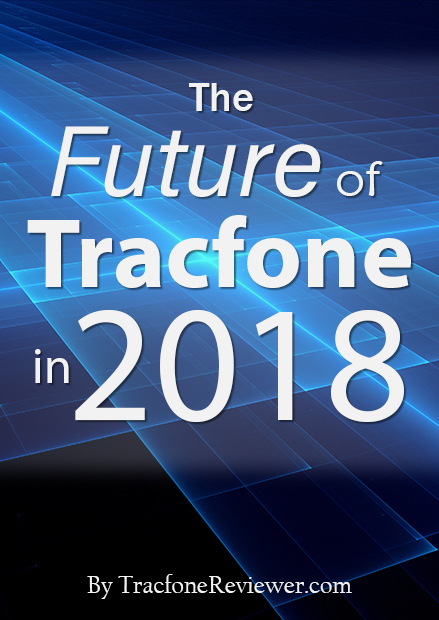 Now that we've looked back at last year, let's get into our predictions and expectations for Tracfone in 2018. We expect Tracfone to release several new phones in the next few months that will be modest upgrades to the current smartphones such as the LG Fiesta 2 and Samsung Galaxy J7 Sky Pro. In 2017 we saw Tracfone release several popular budget phones from major brands (LG and Samsung), and we predict they will offer updated versions of these phones, or similar offerings. Tracfone will likely also continue to offer older high end phones at a discount, such as the iPhone SE that they offered in 2017. Could we see the iPhone 8 or other popular high end smartphones? Perhaps, but they will come at a high cost which is . Tracfone's 'Bring Your Own Phone' program has grown in popularity as they ironed out issues and made most phones compatible. We will have noticed users running into issues activating certain phones, but with enough patience this can usually be overcome. In many cases it is even possible to simply swap the SIM card from one phone to another, effectively switching service to a new phone at any time with no other effort involved. We expect Tracfone to maintain the BYOP program although they likely won't make any significant changes to it. Users can already bring almost any unlocked GSM or CDMA device to use with Tracfone. Tracfone will continue to encourage customers to use the smartphone cards instead of the regular airtime cards. For many users, the smartphone cards are a better deal because they offer more data and texts compared to regular cards. But for those who don't use their data or texts, it still doesn't make sense to use smartphone only cards. A major change from 2017 was when Tracfone stopped including new phones with Triple Minutes for Life. The obvious aim with this is to encourage (force) users to buy the smartphone only cards instead of regular airtime cards (because without triple minutes, the regular airtime cards are not a very god deal). We don't expect any major changes to Tracfone going forward into 2018 and see them working at streamlining their product offerings to make it more simple, and more attractive to potential customers. Add Triple Minutes for Life Back to New Phones. While we understand why Tracfone ended triple minutes (to move users to the smartphone only cards) we think they should add triple minutes back to new phones because of the large number of unhappy customers. We noticed numerous comments stating dissatisfaction in Tracfone for changing this from loyal customers. While we hope Tracfone changes this, we don't expect they will. Improve Customer Service and Fix Lingering Issues with BYOP Compatibility. Small steps were taken by Tracfone in 2017 to improve customer service by opening several physical stores. However, there is still plenty of room for improvement and we hope they will make customer service more of a priority. Tracfone also has some lingering issues with the BYOP program as a number of customers have run into issues trying to activate certain unlocked smartphones. Tracfone needs to fix this immediately. What we really want from Tracfone are more budget phones with good performance at under $200. Devices with 32 GB of memory and at least 2 GB RAM are generally necessary for an everyday device for most users. There are a number of unlocked devices in the sub $200 range that some consumers are already buying to use with the BYOP program (such as the Moto E4 Plus) but we want Tracfone to offer them directly for greater availability. That concludes our Tracfone predictions, expectations and hopes for 2018! Share your own thoughts in the comments below! What should Tracfone change in 2018? Join us on Facebook with our growing community of Tracfone users where we share the latest news and information! If you are new to Tracfone, start with our convenient Beginners Guide to Tracfone which will share the basics of how it all works. And we also have a Tracfone Airtime comparison for those trying to find the best deal on Tracfone airtime. Best Tracfone Gift Ideas Including Phones, Accessories and More! Welcome to TracfoneReviewer. We share the latest news, information and reviews for Tracfone cell phones. The Christmas season is upon us! And that means hot cocoa, Christmas cookies and staying warm by the fire. It is also time to find gifts for all the people on our lists. That's not always an easy task, as we all have that family member or friend who is hard to find the right gift for. But don't worry! 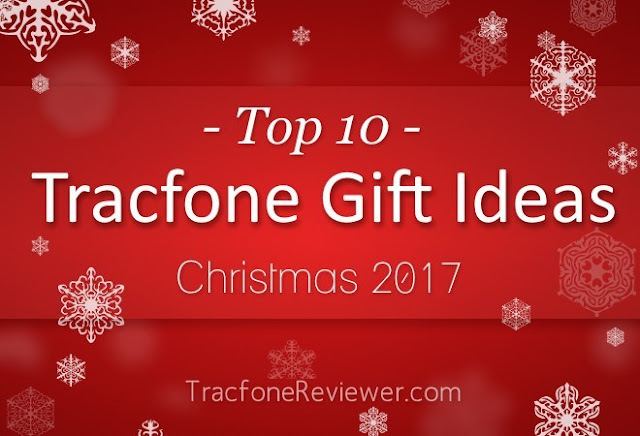 We are sharing our best Tracfone related gift ideas here for you today! If you are new to Tracfone, be sure to start with our Beginners Guide to Tracfone which shares the basics of how it all works. Now let's get to these gift ideas! Many of these gift ideas will work for anyone using a smartphone, not just Tracfone users. Smartphones, like most other electronics, tend to slow down and run into problems over time. So upgrading to a new phone every couple of years (or every year) is a good way to avoid the frustrations of a slow device. Here are some great new smartphone options from Tracfone. The Fiesta 2 has a large, 5.5" screen, 2 GB RAM, 16 GB memory and a quad core processor. Plus it runs on Android 7.0 and has a 13 MP camera. This is one of the more popular phones from Tracfone right now, and packs a lot of great performance and features. See our review of the Fiesta to learn more. Featuring a 5" touchscreen, 16 GB memory ad Android 6.0.1, the Galaxy Luna Pro is a very capable and popular device from Tracfone that is generally available for under $100 and also available with airtime bundle. View our review of the Samsung Galaxy J3 Luna Pro to learn more. Similar to the LG Fiesta, the Galaxy Sky Pro also has a large, 5.5" touchscreen, 16 GB memory, 2 GB RAM and quad core processor. It can be found with airtime bundles and is another popular Tracfone deice because of the good specs and features. Learn more about the Samsung Galaxy Sky Pro. Keep up with all the new phones on our Latest Tracfone Smartphone List. And if you're giving a new phone, don't forget to also share our List of the Best Android Apps for Tracfone. More and more users are looking to unlocked smartphones to bring to Tracfone because of the wider range of phones available, and the huge flexibility it offers. Bringing an unlocked phone to Tracfone is fairly simple, you just need a Tracfone SIM kit and unlocked phone to start the process. Visit our Tracfone BYOP page for more information or our Guide to Activating a Tracfone Smartphone/BYOP Device. iPhone 6 GSM Unlocked - 4.7" screen, A9 Processor, 8 MP camera, and access to the Apple App Store. 16, 64 or 128 GB memory options available. iPhone SE GSM Unlocked - 4" screen, A9 Processor, 12 MP Camera (4K video) and access to the Apple App Store. 16, 32, 64 and 128 GB Memory options available. Moto G5 Plus - 5.2" screen, Android 7.0, 32 or 64 GB memory, 2.0 Ghz octa-core processor, 12 MP camera and more. On Amazon for $199 (for prime members) with 64GB memory/4GB RAM. Compatible with GSM or CDMA. Moto E4 Plus - 5.5" screen, Android 7.0, 16 or 32 GB memory, 1.4 Ghz quad-core processor, 5,000 mAh battery and more. Available on Amazon for $135 with 16 GB memory/2 GB RAM. Compatible with GSM or CDMA. Samsung Galaxy S6 GSM Unlocked - 5.1" touchscreen, Android 7.0, 32 GB memory and a 16 MP camera. Phone covers and cases can go a long way to not only protect a device, but also add personal flair. There are many different types and colors of phone cases available, and many at a low cost. Here are some popular options. Ebay is also a popular place to look for phone covers and cases with many different options available. Most smartphone batteries will last about a day, which is fine if you have access to a charger. But for those who live an active, on the go life, they don't always have time to let their phone charge from a wall. Which is where an external battery pack is very convenient. It stores a charge until needed, and then can charge a phone typically multiple times depending on the capacity. Most external battery packs are no larger than a phone, making them easy to carry along as a safeguard against a dead battery in your phone. Below are some popular options. Anker Powercore 10000 mAh Battery Pack - A popular choice that can recharge most cell phones 3-4 times. Solar battery pack and charger - 10000 mAh battery and solar panel charger for powering a device while away from any electrical sources. Everyone loves extra airtime. Give an airtime card, a data only card, or text only card to show you want to communicate. Add the airtime on the Tracfone website, or purchase an airtime card. Find airtime cards in many local retail stores like Walmart, BestBuy, Target and more. Also available on Amazon and eBay. A great option for kids who might change what they like by the minute, a gift card for buying apps and games is a great option to give a gift for those that might be hard to give to. For buying apps and games, a Google Play Gift Card or iTunes Gift Card are the best options. An Amazon Gift Card is also great for buying all kinds of items from the online retailer. Headphones are a great way for anyone to enjoy music, a podcast, or movie without disturbing those around them. There are many different options, from in ear headphones, to large, over the ear. We have also included a great wireless option for those who like to listen to music while running or working out. More and more people are using their cell phone as a camera, and the quality of the cameras are improving rabidly. Take it to the next level with external lenses you can mount on the outside of your phone to get anything from Macro shots, telephoto images, and fisheye! Most lenses can be used on a variety of different phones. View smartphone lens kits on Amazon. For anyone who really wants to step up the quality of their video recording, a stabalizer will create perfectly smooth shots even whie you're walking and moving. The DJI OSMO Mobile holds almost any smartphone and provides stabilized video capture for professional level video recording. Most phones allow extra storage via a Micro SD card, like the Moto G5 Plus. This is very handy to keep extra music, photos, videos or anything else on. See Micro SD Card options on Amazon. Most phones will accept up to 32 GB, and some up to 64 GB or more. Have you ever had a photo on your phone that you wish you could put on your computer? Well the photo transfer thumb drive is an easy solution. One side can plug into your cell phone through the Micro USB port, and the other can pug into your computer through a regular USB connection. Now you can back up your mobile device, share those photos or videos you took, or load music onto your device. The Sandisk Ulta 128GB Dual USB/Micro USB thumb drive makes it incredibly easy to move files from your Android smartphone to a computer. Back up your phone, or add music and videos to it, there is lots of flexibility with this 128 GB thumb drive. We hope this list of Christmas gift ideas helps you find the perfect gift for everyone on your shopping list. Share any ideas you have in the comments below. Join us on Facebook for the latest news and reviews. Plus it is a great place to get in contact if you have specific Tracfone questions. Get free minutes by using a promo code from our Tracfone Promo Code list! Learn more about how Tracfone works with some of our helpful guides including How Texting works with Tracfone, How Data works with Tracfone and 4 Ways to Check your Airtime Balance. It's December, the last month of 2017, and that means holiday celebrations, hot cocoa, and new Tracfone promo codes! We collect these codes from around the web and share the latest valid Tracfone promo codes below in one easy list. These codes are used when adding airtime to your Tracfone device, and each code is for a specific airtime card, but some may be used with cards of greater value. This list includes promo codes for both regular airtime cards and smartphone only airtime cards. We also have a more extensive list on our main Tracfone Promo Code page. Most promo codes will work on smartphones. And you can keep up with the newly released devices in our Latest Tracfone Smartphones List. Christmas is almost here and we are working on our annual list of gift ideas, so look for that soon! Let's get to the list of new promo codes. 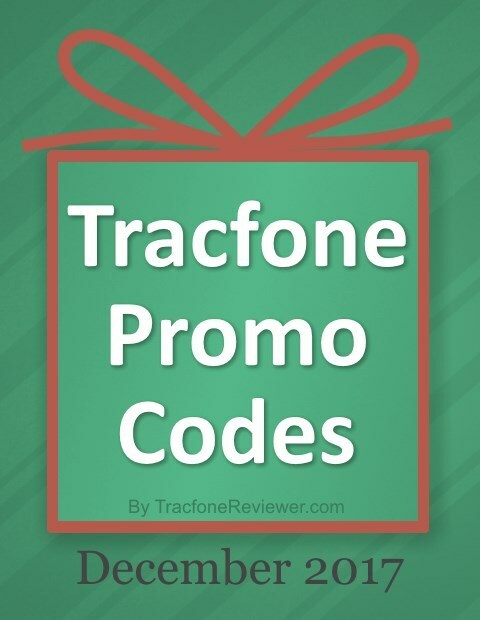 These are the latest promo codes for Tracfone. We hope these work for you. Let us know in the comments which code you used and how it worked. Keep up with the latest news and info on our Facebook page! It is also a great place to send us a message if you have questions. Learn how Data Works with Tracfone including the best way to buy more data. Also take a look at our post on 10 Tips to Boost your Cell Signal if you've ever hard a hard time connecting or making a call.